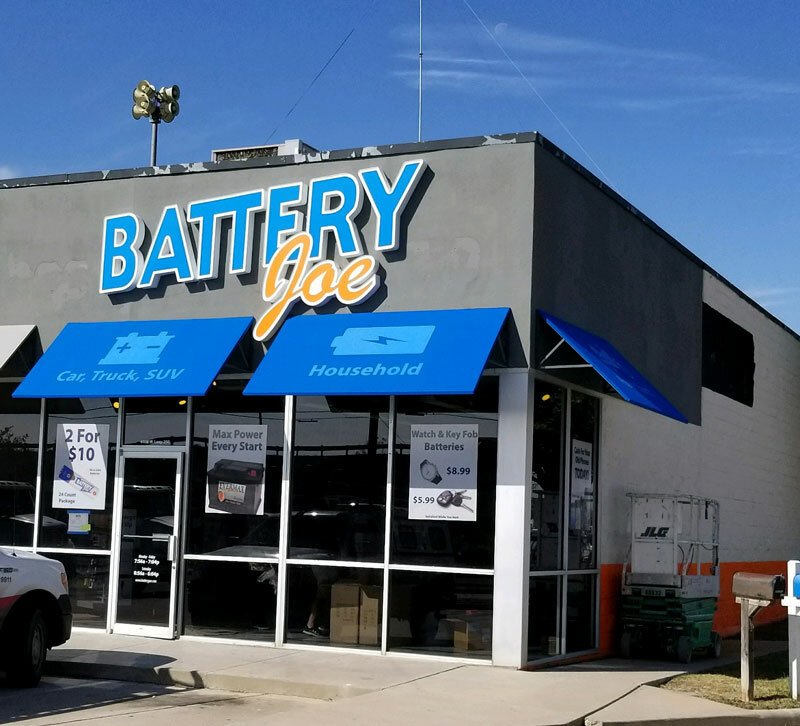 MIDLAND BATTERY JOE LOCATION NOW OPEN! Looking for batteries in Midland, Texas? In addition to our vast stock of vehicle batteries and chargers, we carry all of the batteries, both disposable and rechargeable, for your tech accessories as well. And what fun would batteries be without the gadgets to go with them? Our tech-savvy staff keep a rotating inventory of some of the coolest gadgets on the market, from outdoor accessories to solar-powered charging panels, to drones and RC cars for the kids. At Battery Joe we know how crucial a functioning smartphone is in your day to day life. When something happens to your phone, it can really turn your life upside down. At Battery Joe, we are your Midland phone repair experts. Our Securepair certified phone repair technicians have the knowledge and experience to repair any device. Our quality parts will also assure that your device is repaired properly, and that your phone repair won’t cost you an arm and a leg. Want to learn more? Visit our Midland phone repair page by clicking the button below. Our Midland Battery store is now open We carry replacement Batteries for watches, phones, laptops, and any other small electronic you own. We also do commercial applications like oil field, alternative energy, biomedical, construction, IT, and much more. To top it off, we all have replacement batteries for all kinds of vehicles from cars and trucks to motorcycles, golf carts, and boats. If we don’t have the battery you need, we’ll find it and order it for you! Along with on-site install that comes free with the purchase of any battery, we also carry everything you need to maintain, charge and care for your precious electrical components. Our batteries supply power to countless tools and machines to make sure they’re never underperforming when you need them most. We want to help those who work laboriously in this field in any way we can, so we promise a quality product and a guaranteed supply of that essential battery power. While our batteries ensure power for you company, they also engender innovation in your respective fields. With specialized testing equipment and highly specialized machinery, our services help keep hospitals and science labs paving the way in providing lifesaving assistance to the public. Since we work with well over 120 vendors, we can offer you batteries or replacement chargers for almost any brand of cordless drill or power tool imaginable. From cordless drills to trucks, we provide top services so your company can work hard, fast, and at the highest quality imaginable. When working with Battery Joe, we can assure you that your offices will never be without power. With machines like computer power back-ups and cordless phones, we help keep your staff productive and working at an efficient and timely rate. From everyday cars and trucks to luxury, electric cars or high-performance vehicles, Battery Joe has you covered. We know not all batteries are created equal. Stop in today and one of our experts can help you choose the right battery for your vehicle.